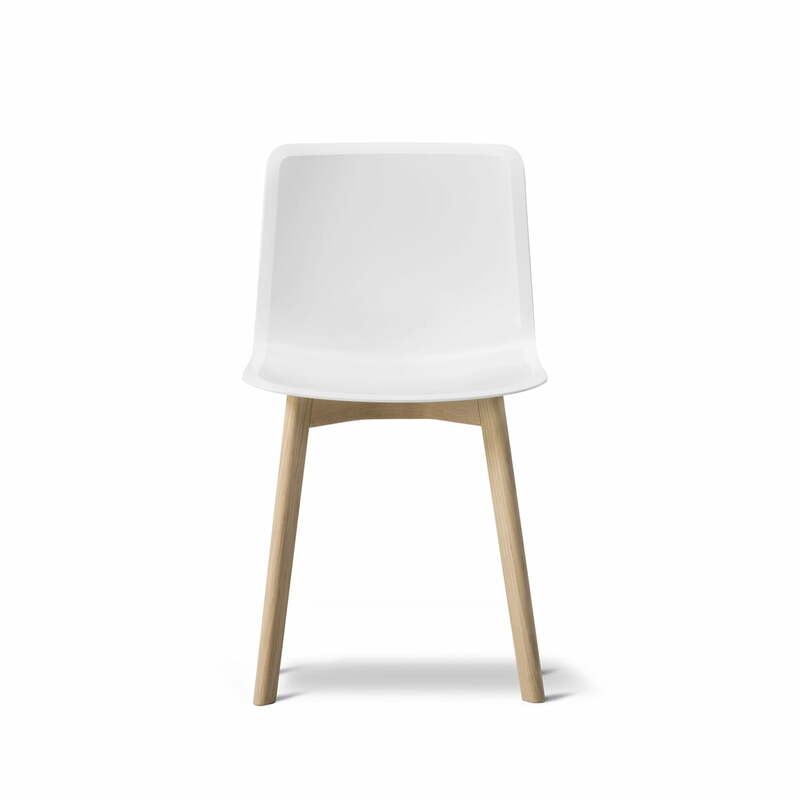 The Pato chair (PP / wood) was produced by Fredericia and is a design by the duo Welling & Ludvík. In the development of the chair, there was much emphasis on a balanced composition between aesthetics and function. The overall minimalist appearance is characterised by a harmonious contrast between the wide seat out of polypropylene and narrow wooden legs. Thanks to its chamfered edges and the flexible backrest, the seat shell is especially ergonomic, so that it optimally adapts to the body contours and offers a high degree of comfort even during long periods of sitting. Visually, the soft-touch surface ensures an attractive finish. The production of the chair takes place exclusively in Denmark so that Welling & Ludvík can ensure that the seat is of outstanding quality. Sustainability is also emphasised by the fact that the chair is 100% recyclable. 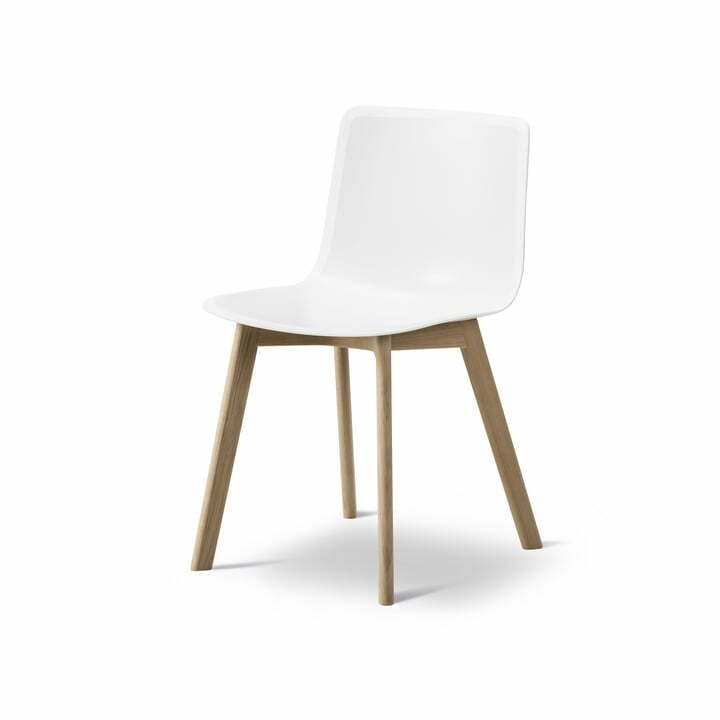 Pato Chair (veneer / wood) by Fredericia in lacquered oak / white. 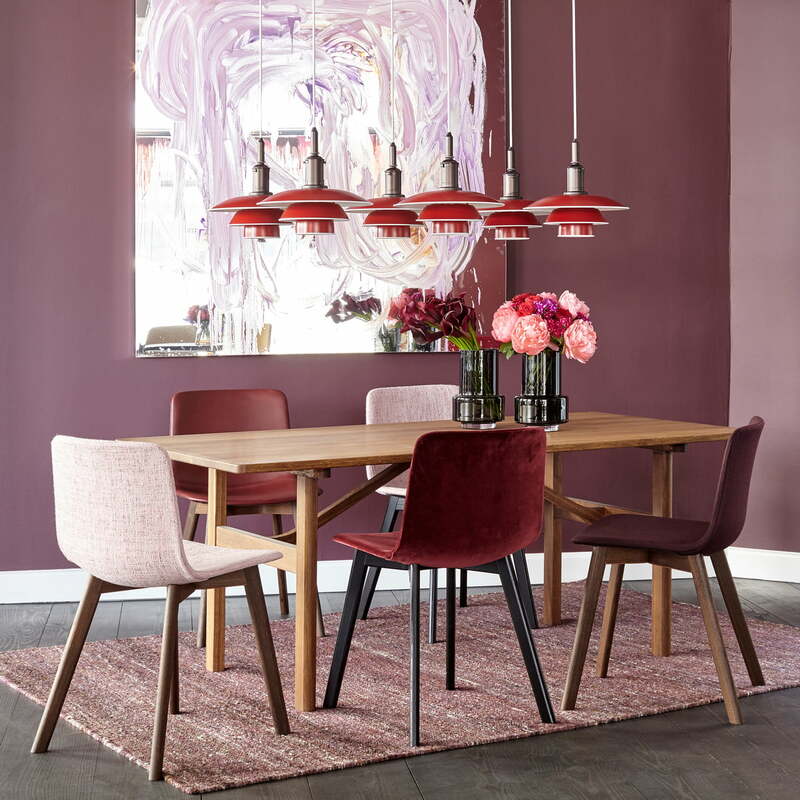 The Pato Wood Base was produced by Fredericia and is a design by the duo Welling & Ludvík. Isolated product image of the overall minimalist appearance is characterised by a harmonious contrast between the wide seat out of polypropylene and narrow wooden legs.